I was lucky enough to have found your amazing blog site and I was wondering if you could help with some information and feedback on my upcoming trip to Miami for the carnival. I am super excited, I've been to Florida before but only with family. 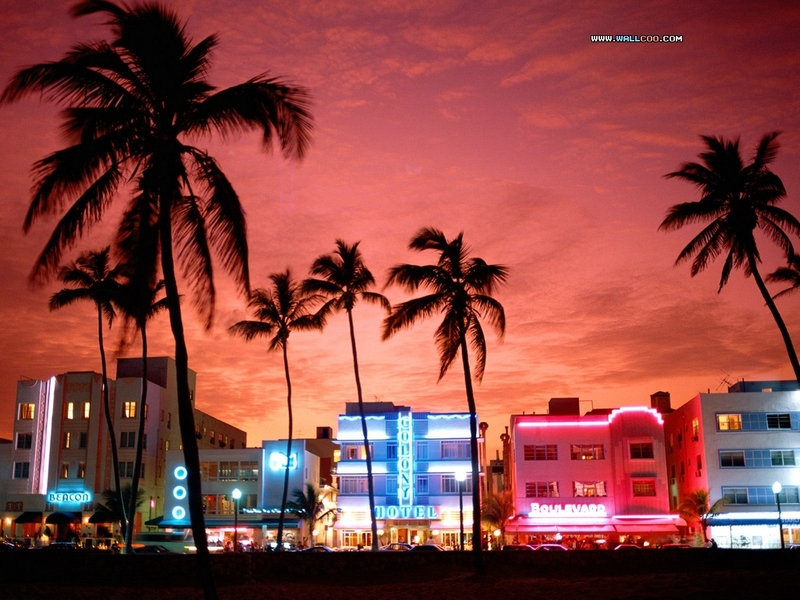 Now, I finally get the chance to go on short mini-vacation with my girls to really get a taste of Miami. I will be booking an early flight from Boston to Miami. What area would you suggest I should get a hotel room that's inexpensive, fairly nice and close enough to all the carnival events n fetes??!! From your opinion, do you think renting a car will be necessary for us?!!! I spent childhood summer and christmas vacations in Miami. And later, went to college there too. My husband is a hispanic Miami-boy, born and raised. All about UM and the Dolphins. LMAO. We no longer live there ... but it's still a home away from home since I visit in-laws and college friends there, from time to time. Miami, unlike other cities lacks public transportation, except for Downtown Miami. 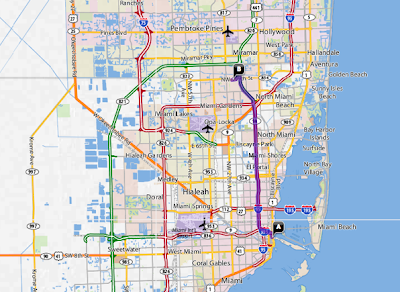 So commuting between areas within Miami, and or to Broward county makes a car a necessity. If you gals don't mind spending money on taxis, then that is an option, though I would suggest against it. I just believe it's good to be mobile. I can't imagine, after a fete or the carnival parade for a group of ladies to be hunting for taxis. Much less, I hate the thought of splitting up or having to depend on others (random people, strangers ... you know the newbie friends we all make at carnival). I too, have no idea what it may cost if you rely on taxi services. So I recommend coughing up the car rental money for those few days and splitting the cost of the car rental and gas among your group. Since you mentioned "mini-vacation with my girls to really get a taste of Miami" .... I suggest the following areas, either DOWNTOWN MIAMI or SOUTH BEACH. I would highly recommend the Downtown Miami area, off of Biscayne Blvd when visiting for Miami Broward One Carnival. This area though would not be my first choice or a choice at all, other than carnival ... but for the very reasons you stated "hotel room that's inexpensive, fairly nice and close enough to all the carnival events n fetes" ... I say give serious consideration to Downtown Miami. If you opt to stay in Downtown Miami, find a hotel off of Biscayne Blvd, at least opposite to the outdoor shopping mall, Bayside MarketPlace. A stone's throw from shopping (not the best for Miami), bars, restaurants, etc. Bayside certainly has the South Florida vibe with scenery and entertainment. In my college days, I'd spend afternoons with friends at bars, people watching. Always entertaining watching those boarding boats for evening cruises. Vale Vibe - certainly walking distance, especially with safety in numbers. Even a taxi would not cost much, if you all stay off of Biscayne Blvd, exactly opposite Bayside Marketplace. Block-O - Bayside Hut off the Rickenbacker Causeway on Key Biscayne is about 10 to 15 minutes drive. In past years, many Caribbean - carnival revelers stay in hotels in Downtown Miami. So be on the look out ... great chance to make additional friends. You may just see them at fetes or even on the road. Staying in Downtown Miami, leaves you with many options. 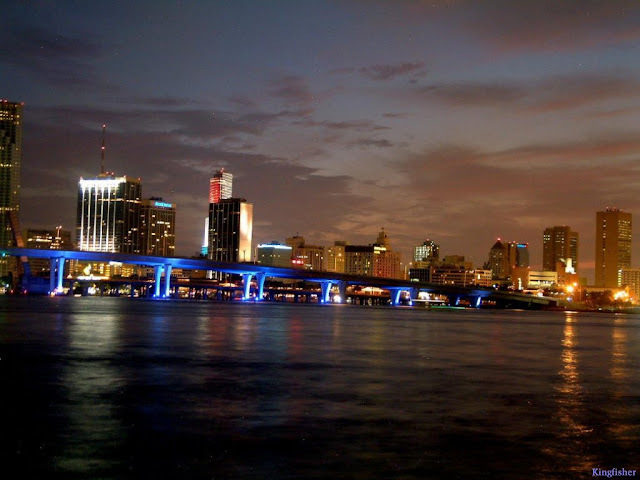 Close enough to MIAMI areas with a variety of tourist friendly, girl mini-vacay activities, etc. So yes, you're visiting Miami for carnival but you can fill your days or nights with other non-carnival girly activities ... shopping, tanning, dining, etc! ... And for the days, when one or two friends might be sluggish, they are within walking distance to banks, food, etc. So just drive off, you can certainly leave them behind to fend for themselves. If you gals, don't plan on day and night - back to back carnival fetin', I suggest you book a hotel on South Beach. Now that's a girls' mini-vacation spot when visiting South Florida. Ahh, you can all get into plenty-good trouble. LMAO. Walking distance of some of the world's major nightlife. ... And the beach is basically at your feet! I am not familiar with Fort Lauderdale and the Beaches. So I really can't suggest where might be a central location to stay in that area during carnival. Maybe others can leave their comments. Definitely, I suggest choosing an area based on the most constant location of the fetes you plan to attend. About two years ago, Miami Carnival used to be held in Downtown Miami. The parade route used to end by the American Airlines Arena on Biscayne Blvd, in Downtown Miami. After the parade, friends would just cross Biscayne Blvd, and head back to their Downtown Miami hotels. Now that it's not just Miami's carnival, the Miami Broward One Carnival parade is in Miami Gardens, a suburban Miami city located in Miami-Dade county. Interesting to note, it is the largest city in Florida that has a majority of Black-American population. The parade now ends at the SunLife Stadium. Distance from Downtown Miami (American Airlines Arena) to Miami Gardens (SunLife Stadium) is 14.37 miles and a 20 minute drive (not considering traffic). Add additional time to your route during morning or afternoon work traffic. For example ... if going to SHINE Breakfast fete, in Fort Lauderdale or returning to Miami when the afternoon work traffic builds up. ... And even on the day of the Miami Broward One Carnival parade make allowance for traffic, parking and eventually closed off roads. Distance from Miami International Airport & Fort Lauderdale Hollywood Airport is 26.86 miles and a 34 minute drive. Usually booking flights to a secondary airport such as Fort Lauderdale Hollywood airport, may be a lot cheaper than landing in a major airport such as Miami International Airport. I chose this distance map so that you can decide if it's worth your while, time and even your pocket to choose one airport over another in the South Florida area. ... And like my Miami crush, PITBULL says, "DALE!"